That's a different post for a different day. 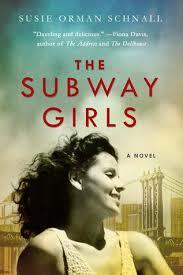 Today I want to talk about the latest book I just finished reading, "The Subway Girls". This was a novel I got to read before it was published thanks to NetGalley. It was published on July 10th so almost exactly a month ago and I just finished it... it was really good. In 1949, dutiful and ambitious Charlotte's dream of a career in advertising is shattered when her father demands she help out with the family business. Meanwhile, Charlotte is swept into the glamorous world of the Miss Subways beauty contest, which promises irresistible opportunities with its Park Avenue luster and local fame status. But when her new friend―the intriguing and gorgeous fellow-participant Rose―does something unforgivable, Charlotte must make a heart-wrenching decision that will change the lives of those around her forever. Nearly 70 years later, outspoken advertising executive Olivia is pitching the NYC subways account in the last ditch effort to save her job at an advertising agency. When the charismatic boss she’s secretly in love with pits her against her misogynistic nemesis, Olivia’s urgent search for the winning strategy leads her to the historic Miss Subways campaign. As the pitch date closes in on her, Olivia finds herself dealing with a broken heart, an unlikely new love interest, and an unexpected personal connection to Miss Subways that could save her job―and her future. So, this book goes back and forth between the past and present, and of course, has that interlocking moment. At first, I was a little confused and I couldn't really get where the story was going. It started off with Charlotte, set in the 1940s and it was a little confusing. However, after a few chapters, I was able to follow things a little more clearly. After that, the book flowed very nicely and it was super easy to understand and get invested in the book. I loved the contrast between the 1940s and the present day; to see Charlotte struggle to prove herself as a career woman to her father was so interesting because that isn't something Olivia had to deal with. 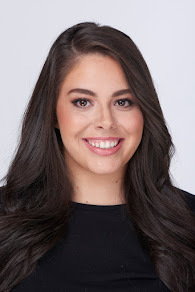 However, Olivia did have to deal with other sexist behavior and in turn, you see that neither is the ideal situation and both have strong similarities. As you continue to read the novel, you see how Charlotte and Olivia's stories eventually meet in the middle and that's where it gets very interesting. About more than halfway through, you kind of pick up on the twist that is coming but it was so well thought out, it kind of took me by surprise. I wouldn't say this is a thrilling novel -- it's a typical historical fiction/romance/girl power story. I don't even know what genre I would put this in because it was very unique. The writing and character development was good but could've been better -- I felt like I had a lot of unanswered questions at the end but sometimes there are questions that don't need an answer. I think this book will satisfy a lot of people and is an easy, quick read. It's a book that I think everyone could find something to like about it and it was interesting, especially because it's sort of based on a true story. I loved this book and felt good at the end of it. Will you be picking up The Subway Girls?